A blog setting out the importance of good oral hygiene and going to your dentist and the main reasons why people do not attend their dentist and the impact of this. It is recommended that we attend a minimum of two dental appointments each year for professional cleaning and management of any developing conditions. Adhering to this recommendation can prevent the development of dental disease and stop serious dental problems from arising. Preventive dentistry emphasises the importance of ongoing good hygiene and daily check-ups to prevent tooth decay and other dental diseases and conditions. 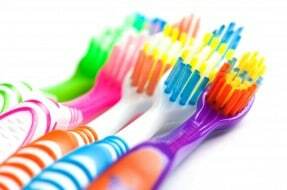 Good oral hygiene begins at home and there are a number of ways an individual can assist themselves in ensuring that they avoid the need for extensive and expensive dentistry. • Brushing and Flossing – The most important prevention technique is brushing and flossing at least twice a day to remove dental plaque. If not removed, plaque can build up and produce dental tartar, a hardened, sticky substance with acid-producing bacteria that cause tooth decay and lead to gum disease. • Diet – A balanced diet is essential to maintain good dental health. Foods that contain a lot of sugar and carbohydrates will feed the bacteria that produces dental plaque. A lack of calcium can also increase the chances of developing gum disease. • Regular dental visits – The majority of dental conditions do not initially cause a lot of pain. This means that if you fail to regularly visit your dentist, you may not be aware of dental problems until they cause significant damage. It is therefore vital that you attend regular dental appointments, ideally every six months. • Avoid smoking and drinking – Smoking and alcohol consumption can have a huge negative impact on your dental health. As well as causing tooth discoloration and plaque build-up, smoking can cause gum disease, tooth loss and even oral cancer. Maintenance of good oral hygiene will ultimately result in less extensive and less expensive dental treatment. Why do we avoid going to the dentist? • Cost – It’s been much publicised for many years now about the problems people in the UK face trying to access NHS dentistry. In recent years, concerns about dentistry have focused on the difficulty many people have in obtaining NHS care. As many as 35% of adults are struggling to get the NHS dental care they need, according to research by Simplyhealth, a healthcare group. In February 2014, the Daily Mail reported that in some parts of the country, half of adults have said they cannot see an NHS dentist, forcing them to go without treatment or to pay privately. Meanwhile, those who can’t afford to go private are increasingly ending up in A&E for emergency dental work. People are putting off routine dental work because of the cost and, as a result, the numbers of those going to A&E for treatment has quadrupled from 3,500 in 2010-11 to 14,500 last year. While progress is being made to improve access, a new issue is emerging during the current economic climate – affordability. The latest research shows a worrying trend of people cancelling and deferring treatment as a result of cost – a view expressed by dentists and patients alike. • Fear and anxiety – Dental phobia, or a fear of dentistry and receiving dental care, is a common problem and is often caused as a result of a traumatic, difficult, or painful dental experience. Individuals who suffer from this will often avoid going to the dentist altogether which can lead to a delay in diagnosis of problems and can often cause prolonged pain and suffering as a result of avoiding treatment. Dental phobia can be treated by using behavioral and pharmacological techniques, and there is help available to help people manage their fear of dental treatment. Unfortunately, even when we obey all the rules by maintaining good oral health and regularly attending our dentist, things can still go wrong. However it could greatly assist your chances of obtaining compensation when things do go wrong if you can show that you did everything you could to avoid the damage from occurring. If you think you have suffered dental damage through no fault of your own, please contact a member of our dental negligence team for advice.